Russian Grandmaster Peter Svidler is a jack-of-all-trades when it comes to the different versions of chess tournaments. An accomplished player at blitz, classical and chess960, Svidler has had much success across the board in all different forms. A 7-time Russian Champion, he has represented his home country well by being one of the best players in the world for many years. Peter Svidler was born in Russia and learned to play chess when he was 6 years old. He became an International Master in 1991 and a Grandmaster in 1994. Around the time he became a Grandmaster, he won his first Russian Championship, a tournament he would win another 6(!) times. 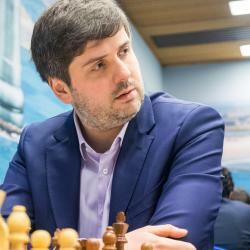 Svidler has played in many Candidates tournaments to determine the World Champion challenger, but has never progressed to the championship match. He has won a variety of individual tournaments throughout his career including classical, blitz and chess960 tournaments. On the board he is a brilliant tactician and is one of the top ranked players in the world.